Hillcrest is one of the most powerful learning environments for international students. Because Hillcrest bases our program on the Bible, we see every person as a divine expression of the character of God. We understand each person is made in the image of God, and every person at Hillcrest is on equal footing because they bear God’s divine imprint. With this we celebrate the various cultures and backgrounds as they align to a Biblical understanding of humanity. Each question and difference in culture is an opportunity to teach history, language, logic, and expression. These pillars of understanding the world stand on the understanding that the world is organized and orderly, coming from the creative mind and character of the God of the Bible. As students engage in classroom disciplines they see the form and function in God’s creative design. This understanding propels their learning. No longer are they simply learning facts and engaging in concepts. Students at Hillcrest understand stories and cultural expressions as they engage in mathematics, language, history, and the arts. Their exploration in academia is an exploration in identity. With this foundation for learning in place, students engage in the culture of Hillcrest. Over seventeen different cultures are present in the 180+ student body. Students see that cultural differences and backgrounds are opportunities to exercise listening, sharing, and communication. Because students come from countries with various economic practices, government systems, and cultural ideals the classrooms at Hillcrest hold diversity of thought and expression. Hillcrest unites students under the banner of Christ, teaching students to express their viewpoints in a logical, honest, and respectful manner. The midwest culture holds a lot of great traits in debate and understanding. Hillcrest many times is the perfect place for an international student to build an understanding of the American culture. Students from foreign countries will see their English comprehension and expression improve dramatically as students engage in the small and close-knit community of Hillcrest. International students will room with students from other cultures, most often with students from the United States. This opens opportunity for aid in school work and navigating culture. Each student who attends Hillcrest is here because they desire to be here. Hillcrest does accept students who do not want to be a part of our dynamic and diverse community. Hillcrest is not a place for troubled youth. Instead, our mission is to equip young people in a Christ-centered and Bible-based environment. We are best suited for students who want to understand more about the Christian faith and build habits for spiritual and academic growth. While Hillcrest does allow some students to attend Hillcrest who do not have a Christian background, there is a very rigorous admissions process to ensure that students on our campus have a general inclination to grow in an understanding and commitment with Jesus Christ as their savior. It is our desire that each student who attends Hillcrest will develop a personal, vibrant, and committed following of Jesus Christ. “What’s holding you back? Why don’t you believe in God?” Adrian Eide’s crucial questions revealed Bill Bui’s lack of faith. They proved to be life-changing probes. Bill Bui filled out Hillcrest’s online application in his search for a place to grow more confident in speaking English. His sights were set on an American university, and Hillcrest offered a great education at an affordable price that would allow him to catapult into college. He didn’t foresee that growing in English in Hillcrest’s Christ-centered classrooms would blossom into a faith in Jesus Christ. Bill was born in Vietnam, and started attending Hillcrest in 2014 as a freshman. Since his bags hit the tile floor in the Sletta-Strom dormitory he has been growing. He started Hillcrest as a shy and nervous freshman. He turned inward for most of his first year at Hillcrest, never stepping outside his comfort zone to build friends. However, midway through his second semester in Hillcrest’s halls Bill connected, specifically with three people in his grade who made him feel comfortable and accepted. In his sophomore year, Bill grew close with a huddle of boys from the Danielsen School in Bergen, Norway. Their late night connections in the dorm pulled out Bill’s personality, and he gradually grew more confident. His Norwegian friends led him to have security with who he was. Some dug deeper, encouraging him to think through deeply faith- based questions. That’s when Adrian Eide asked his question, after he and Sara Helen, a friend of Bills, inspired Bill with their personal faith. When the lights would go out in the dorms, the gentle whisper of Adiran and Sara’s faith-based frienships led Bill to wrestle in the dark with his own relationship with Christ. Bill said Adrian often confronted him with questions like “What’s holding you back?” and “Why don’t you believe in God?” Eventually, Bill processed his relationship, or lack thereof, with God. Sitting under Adrian’s wing for most the year, Bill heard who God really is through Adrian’s spoken and unspoken teaching. Bill saw pictures of what following Christ really looked like, and the love Adrian possessed captivated Bill. In these simple moments Bill started trusting the word and promises of the Lord, until one day he called himself a follower of Jesus. The transformation was gradual, but now Bill has full confidence in calling himself a Christian and hopes to honor God all throughout his life. Hillcrest holds strong bonds with their students that extend past graduation day. Recently the student body commits to writing the graduates from the previous year. Their notes of encouragement continue the bond of friendship while continuing the commitment to spiritual growth. It is common for alumni to visit Hillcrest during college breaks. Many times students slip past their underclassmen friends to find their way into the classroom with the instructors who made an impact. In these meetings, if we listened in, it would be very normal for the former Hillcrest Comet to share where they’re going to church, what their friend group is like, and how their daily devotions are impacted their life at college. Hillcrest instructors aren’t as concerned with what college students’ favorite classes are. Their number one objective is to mentor former students in continued spiritual growth. It is under this banner that Hillcrest formed a mantra. While most schools are concerned with what students’ SAT scores are, Hillcrest focuses on how students are developing their faith and Intellect to form Christian character. Many schools will gauge success on what kind of 18 year old walks away from their school. Hillcrest wants to know what kind of 28 year old returns to the Castle to show their family the place their spiritual commitment was realized. The best test of our program is to look at the 28 year old graduates. 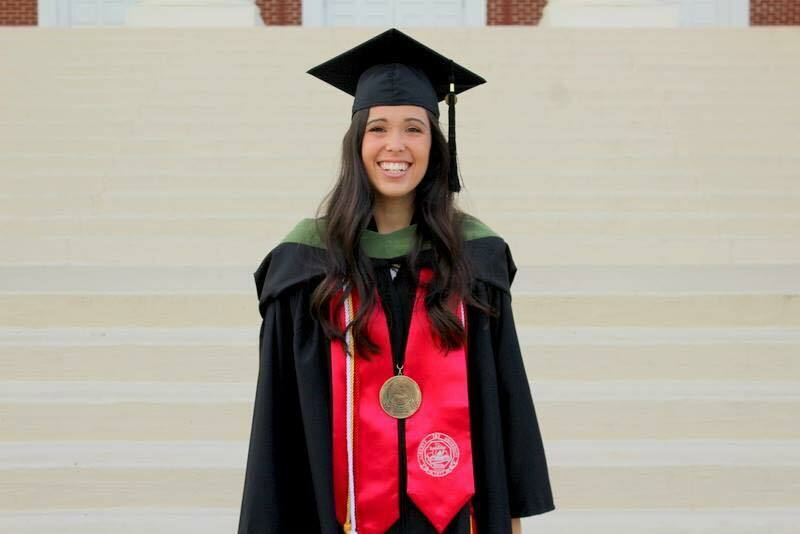 “I learned to follow God step by step at Hillcrest.” Taylor is a Duke University Medical Fellow, working as a primary agent for funding of research and development. “I developed a love for science in Hillcrest’s robotics program.” Cody is completing his doctorate while serving as a specialist in research of a portable cancer detection device. Hillcrest students are prepared for college, and more importantly the challenges they’ll face in life, at Hillcrest. Our program integrates the Bible into every discipline, academic and extra-curricular. That means students learn to live life with Jesus, being challenged to engage every aspect from a Biblical foundation. With this training students are propelled from Hillcrest. The academic program develops preparation for university rigor, while also calling students to consider their giftings. While each student is challenged to enable a smooth transition into the university, some students elect to serve the Lord following their senior year. 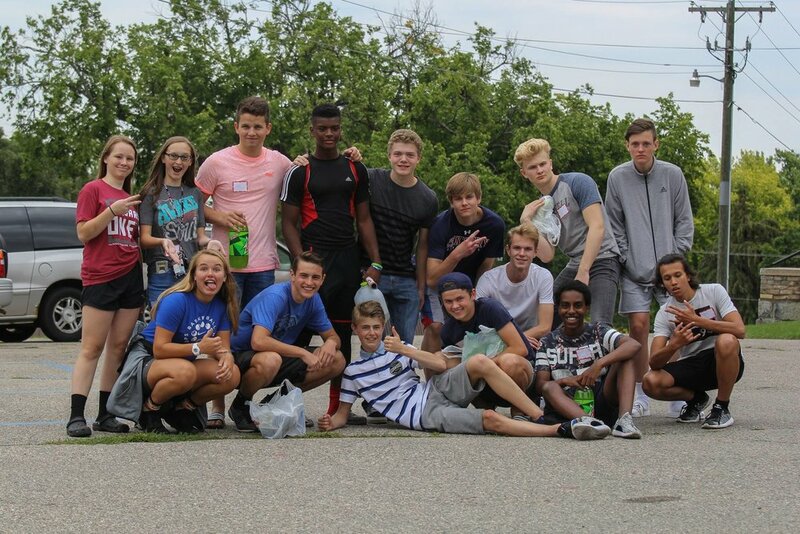 Many students join mission movements, feeling equipped to share the Gospel boldly following their time at Hillcrest. Other students crave practical training, taking a link year experience where they explore employment, seek out internships, and support the local church. All of these choices fall in line with Hillcrest’s mission, to equip students in a Christ-centered Bible-based environment for lives of eternal significance. For some that means attending the university. For others they feel called into specific ministries directly from high school. For still others they may feel called to engage the work force. Hillcrest is more concerned with what kind of 28 year old comes back to visit Hillcrest than with what schools our 18 year olds are accepted into. That said, we do have students attending many rigorous and well-respected universities. Breakfast is served in the Student Union Cafeteria. Students receive a hot meal option, as well as cereals. Breads and cheeses are also an option as requested by our students from Europe. Students attend breakfast after preparing for their day. The breakfast meal is a gathering point for students as they build community and begin their day together. Hillcrest students go through eight 45-minute class periods in their school day. They study core subjects in mathematics, language, history, science, and Bible. Elective courses in computer drafting, engineering, art composition, pottery, photography, writing, and choir are available for students to enroll in. Hillcrest focuses on mentorship provides many one-to-one teacher to student interactions in the course of the school day. Progress is efficient and students are supported through Hillcrest's student services program. All students are offered a study period in their class schedule when they might complete school work, connect with a mentor, or receive support from a teacher. Students are surveyed routinely to discover areas they may need support or encouragement. Hillcrest assesses student academic progress every four weeks. If a student has a C or lower in any class they receive focused students services. Students are mentored by the registrar to visit with their teacher, receive an outline to improve their academic standing, and then create a structured plan for improvement with the registrar. The registrar mentors the student to hold him/her accountable to their plan and academic progress. Hillcrest's Chapel program incorporates worship teams into an organized and focused Chapel program that coordinates a theme to minister to students. In this program students hear messages that will challenge them to grow spiritually, while also providing an opportunity for the school to unite under the banner of Jesus Christ. Daily prayer times are offered to students, while the school organizes a special Prayer Day where the entire student body focuses on prayer and praying for each other during a full school day. Lunch is a time for students to refuel at Hillcrest. Students choose from a hot meal option or a deli sandwich option. There is a salad bar offered, as well. Hillcrest’s catered lunch program ensures student satisfaction and nutrition as they further their studies at Hillcrest Academy. A routine chef meeting offers opportunities for students to give feedback on menu options. Hillcrest serves lunch in two class period options to enable students to select classes according to their academic preferences. After school students participate in athletic practices and spend time connecting with friends in the dormitory. Students will spend time in the Student Union Skyping, Facetiming, and connecting with family back home, while also sipping coffee and making memories with friends from around the world. Students have the option to participate in clubs that will meet in the evenings and on weekends. These afternoon activities enable a reprieve from studying, providing opportunities for students to build friendships, explore Minnesota, and develop skills that wouldn't normally be included in the classrooms. Some of the clubs Hillcrest continually operates are the hiking club, book club, evangelism club, drama club, cooking club, knitting club, and chess club. Other clubs are able to form as students express interests. Dinner is served at 6pm and provides students an evening meal before they continue with their Hillcrest experience. Oftentimes activities at Hillcrest take students away from the newly renovated dining hall. Students are provided a meal box that accompanies them on their athletic and special club trips, ensuring students are nourished as they continue experiencing Hillcrest. A daily study period organizes a time for students to progress in their academic pursuits while also giving them a structured time in their day to focus on their studies. The Hillcrest experience can be very hectic, so giving students an organized study time helps them live to the fullest in their other activities while also ensuring that the stress of school and academic pursuits has a focused time at Hillcrest. This period is often used for support in concepts, additional help in comprehending assignments, and building on concepts learned throughout the day. Dinner at Hillcrest is an important meal. During the dinner time students receive connection with adult mentors who encourage them in their academic endeavors. The Union is the cafeteria at Hillcrest Academy. It provides the dining hall experience and is also a place for students to meet for studying as well as connect with their adult mentors throughout the day. A laser tag course, beach volleyball, broomball rink, and full gymnasium and weight and exercise room provide many activity options for students throughout the year. Evening and weekend activities are a welcomed way for students to exercise and find enjoyment in building relationships. Hillcrest’s Resident Life program orchestrates the evening and weekend activities. The laser tag and broomball rink are events that are set up on campus in a scheduled program. Students are able to access exercise and gymnasiums throughout the year. The evening activities are an important aspect of the student life experience at Hillcrest. Students learn some of the cultural games played in the United States, while interacting with friends from around the world in athletic, social, and small group events. The evening time at Hillcrest is an enjoyable experience. Students will use evenings to communicate to parents through Skype or Facetime, visit with friends in the dormitories, and build relationships with mentors. As students wind-down for the day, rest is an important practice as we aim to keep students attentive and healthy during their Hillcrest experience. An organized and well-communicated lights out and bedtime routine helps students prepare for rest. Students will turn all technology off during this time, ensuring that they are able to focus on recharging during their sleeping time over night. Communication devices like cell phones, walkie-talkies, and laptops and Ipads are stored in the dormitory office over night, ensuring students receive rest without distractions during the rest hours of the Hillcrest program. All students have an international or American roommate, which means they inevitably share some special conversations with each other as they wind down and recap the day. These special times are a hallmark of the Hillcrest experience. Tuition and fees for international students is $24,345 for the 2019-20 school year. Two major trips per year: (1) Musical Tour with either band or choir (2) Student event trips to Chicago, Black Hills of South Dakota, or a similar student trip. Create a profile and complete the application online. Your references will be emailed a reference form. Once all references have been collected at Hillcrest Academy, a personal interview will be established with a representative from the school. Following the interview Hillcrest Academy will contact the applicant to communicate the status of the application. All tuition and fees are due August 1st. Students may pay by semester, with payments due August 1 and January 1. Wire Transfer (preferred), Visa, MasterCard, Discover and American Express credit cards are accepted for payment. A late payment fee of $250 will be assessed on semester payments that are more than 10 days late. Any student whose account is not current after 15 days will not be allowed to attend classes until account is current. In an academic semester in which classes have met for ten days or less: 50% of tuition and dorm fees. In an academic semester in which classes have met for more than ten days: There is NO refund. If a student is removed for disciplinary reasons there is NO refund.